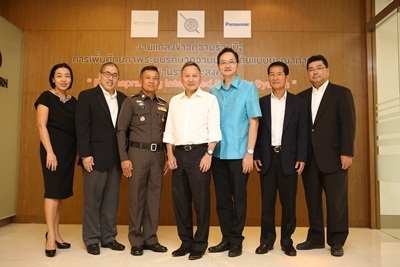 The Ratchaprasong Square Trade Association (RSTA) and its members have established the “Ratchaprasong Integrated Security System (RISS)” to expand its security to accommodate tourists in both building space and public areas with a number of measures including installation of high-quality surveillance cameras and more streetlights.There are also training courses to further improve personnel skills in collaboration with the Royal Thai Police and Panasonic Siew Sales Thailand to prep up security efforts to boost tourist confidence as a welcome to all visitors throughout the pre-New Year period. Mr. Chai Srivikorn, RSTA President, says: “During high-tourist season every year, Ratchaprasong is a key landmark for global tourism in which various lifestyle activities are widely arranged, especially the Bangkok Countdown At Ratchaprasong, which is regarded a Top-of-Mind event on tourists’ list. As a result, RSTA this year has expanded and beefed up security, with the help of RSTA members who operate 13 major buildings in the area: Gaysorn shopping centre, Amarin Plaza, CentralWorld, Erawan Bangkok, Grand Hyatt Erawan Bangkok, InterContinental Bangkok, Holiday Inn Bangkok, Anantara Siam Bangkok Hotel, Maneeya Center, Platinum Fashion Mall, Novotel Bangkok Platinum, President Tower Arcade, Renaissance Bangkok Ratchaprasong Hotel. 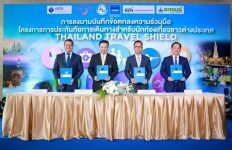 Also with the assistance from allies in Than Tao Mahaprom Foundation Erawan Hotel, the Royal Thai Police and Panasonic Siew Sales Thailand, security in the area has been upgraded to the maximum level in both building office and public areas to further boost tourist confidence. Efficiency in safety measures has been heightened through three areas: defensive mechanism and accommodation; technology, and personnel to expands coverage in both office building and public areas under the newly-developed “Ratchaprasong Integrated Security System”, which includes crime monitoring based on improved technology, the use of resolution of surveillance cameras to 4K level, and expanded deployment of security personnel who have been trained in special courses. With 4K technology and revolving cameras, very high-resolution images will be available in more areas, and in wider coverage of camera angles. An increase resolution while zooming, which is capable of producing clearer images at objects or people on the watch. CCTV Control Room, or Ratchaprasong Security Center An upgrade was conducted to connect closed-circuit television system via fiber optics CCTV and Wi-Fi, together with replacement of monitors to enable normally-sharp images An upgrade is underway to connect closed-circuit television system via fiber optics CCTV and Wi-Fi, together with replacement of monitors to enable much sharper images, in Full HD resolution. Pol Lt – Gen Anan Srihirun, Assistant Commissioner General of the Royal Thai Police says: “The Royal Thai Police has placed an emphasis on security to the public at a priority, through integral operation involving the local police (Lumpini station), metropolitan personnel, patrol and special operations division, the Explosives Ordnance Disposal (EOD), Tourism Police, Crime Suppression Division and Special Branch Police. 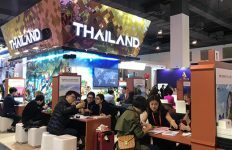 We have also been given support by private security guards in maintaining security and providing convenience to the general public in Ratchaprasong area in normal situation or during special events. 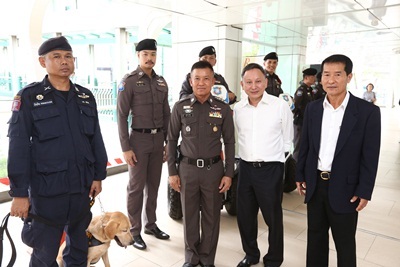 On providing security in Ratchaprasong area in particular, the police have been discussing and planning security measures with RSTA members, which have already provided regular security on their premises, both inside and outsiding the buildings. We have focused on a collaboration between the private sector and the police, by utliising Biometric technology in identifying the suspects or Video Analytic inspection to check out on suspicious or unattended objects. In addition, policemen will be dispatched to monitor areas at risk through coordination with private security guards in each building to keep watchful eye on the outside of the buildings and in blind spots, while the police will be responsible for areas on the outside. Ms. Ranee Sitthikaew, Senior Department Manager of Security Solution, Panasonic Siew Sales (Thailand) Co., Ltd., on preparation of efficiency of new surveillance cameras “We have added new properties of new surveillance cameras to enhance its effectiveness, by installing units with 4K resolution to increase sharpness of the images, while readjusting resolution during the zoom, to ensure greater sharpness of the images. The lenses’ coverage angles have been narrowed to monitor all movements or irregularities more accurately. We have also developed Analytic capability through Smart Software, which is developed exclusively by Panasonic. 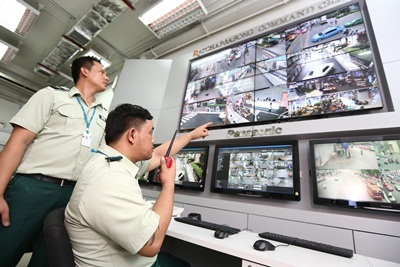 The Analytic capability can send alerts when suspicious people or objects are detected while integrating all monitoring from all cameras installed at all department stores that would be operated integrally at the CCTV control room, or at the Ratchaprasong Integrated Security System (RISS). 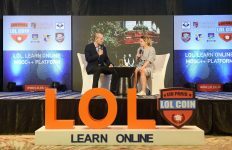 As a result, public areas outside the buildings around Ratchaprasong will be under the watch at a very high security level,” she says.